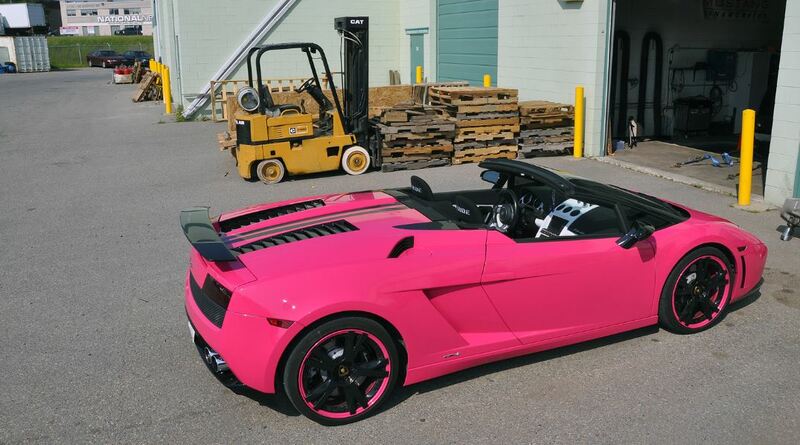 A Lamborghini Gallardo Spyder model in a strange pink finish was caught on shots in Canada, the model looking rather cool, even if the supercar maker hasn’t yet put the color on its list. We are thinking about a customized paintjob, with the supercar being aimed towards rich ladies under 30, who need to feel the love wherever they are. To be a reminder, the Lamborghini Gallardo was first launched in 2003 and continued to be manufactured until a few months ago, eventually being replaced by the Huracan model. The Lamborghini Gallardo supercar was built in two body styles, namely the Coupe and the Spyder, both coming in two doors, with rear mid-engine, as well as with an all-wheel drive and rear-wheel drive layout for the Spyder version. 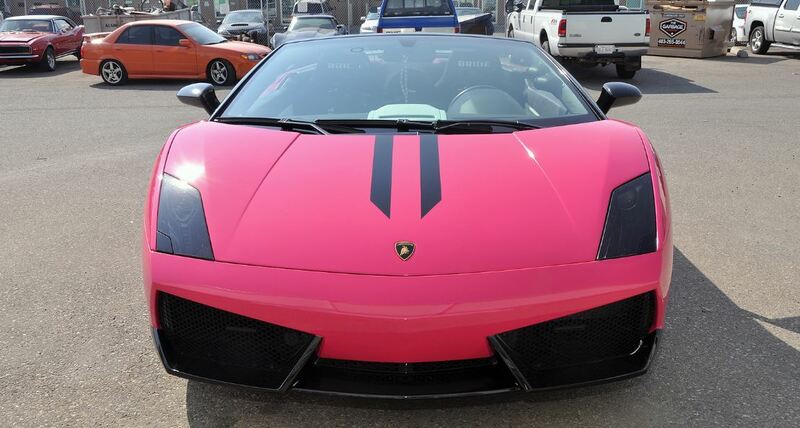 The Lamborghini Gallardo Spyder was first unveiled to the public in 2006, at the Los Angeles Auto Show, coming with 650 horsepower, the unit being hooked to a 6-speed manual or a 6-speed automatic transmission.